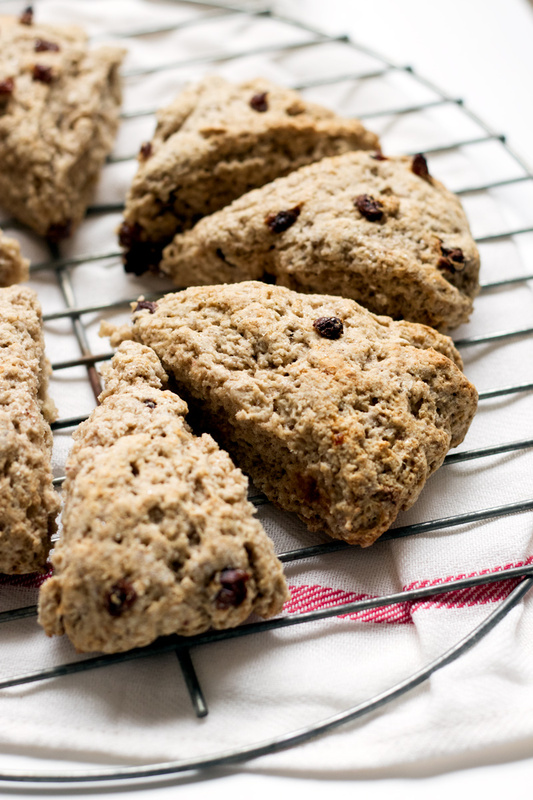 This recipe for vegan cinnamon scones was originally submitted by reader Donna Ryan for the Fast & Fresh Dairy-Free Time Trials Recipe Contest sponsored by So Delicious. It was a “30 minutes or less” entry. 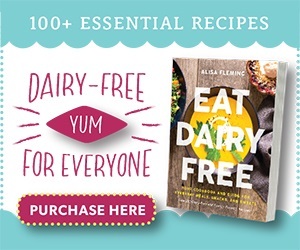 She used dairy-free coconut milk yogurt to replace the cream and eggs used in many scone recipes. Consequently, these cinnamon scones are also quite low fat! 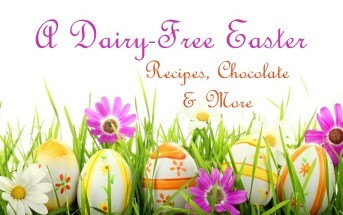 Photos by Leah Moldowan, a Go Dairy Free Associate Editor and Blogger at Love Me Feed Me. Scones are an old fashioned breakfast and tea delight. There are many different recipes for scones, but most are a bit crumbly like biscuits, and usually made much like a pie pastry. I love the different method in this cinnamon scones recipe because it works up fast and is so easy to do. Also, it is a bit lighter and flakier than most. Leah was curious, so she decided to give these vegan cinnamon scones a try for herself. I couldn’t find dried blueberries anywhere, I thought I could maybe get away with cutting up raisins, but they just look like raisins, haha. But the recipe turned out really great! 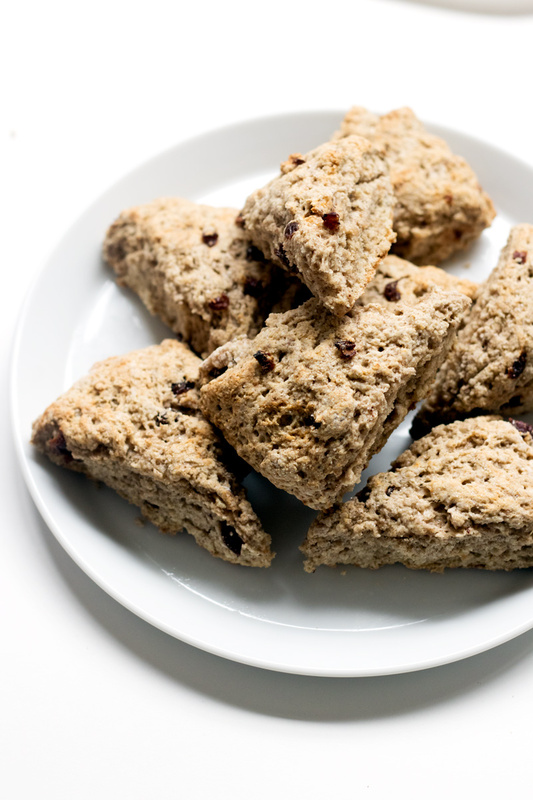 The scones have a perfect texture of soft and fluffy with a lightly crispy exterior. They’re light and go wonderfully with a cup of tea. They got eaten up in just a day at my place! So so easy to whip up too. The only other change I made was omitting the cinnamon chips and adding about 1/2 teaspoon of ground cinnamon to the scone dough. 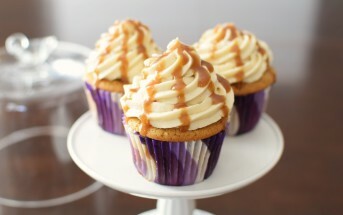 I updated the recipe below with Leah’s options, and added her beautiful photos to inspire. Now crank up that oven and brew a big pot of coffee or tea. It’s time for some vegan cinnamon scones! Preheat your oven to 450ºF. Line a baking sheet with parchment paper or a silicone baking mat, or you can grease a scone baking pan if you have one. Place the flour, ¼ cup sugar, baking powder, baking soda, salt, and cinnamon (if using) in a large mixing bowl. Whisk to combine. Add the yogurt to the dry ingredients and stir just until combined. Fold in the cinnamon chips (if using) and dried blueberries or raisins. Lightly flour a cutting board and dump the dough onto board. Pat and knead about 8 times to get everything to hang together. Pat the dough into a disk that is about ¾-inch thick. Evenly sprinkle the top with 1 tablespoon sugar. 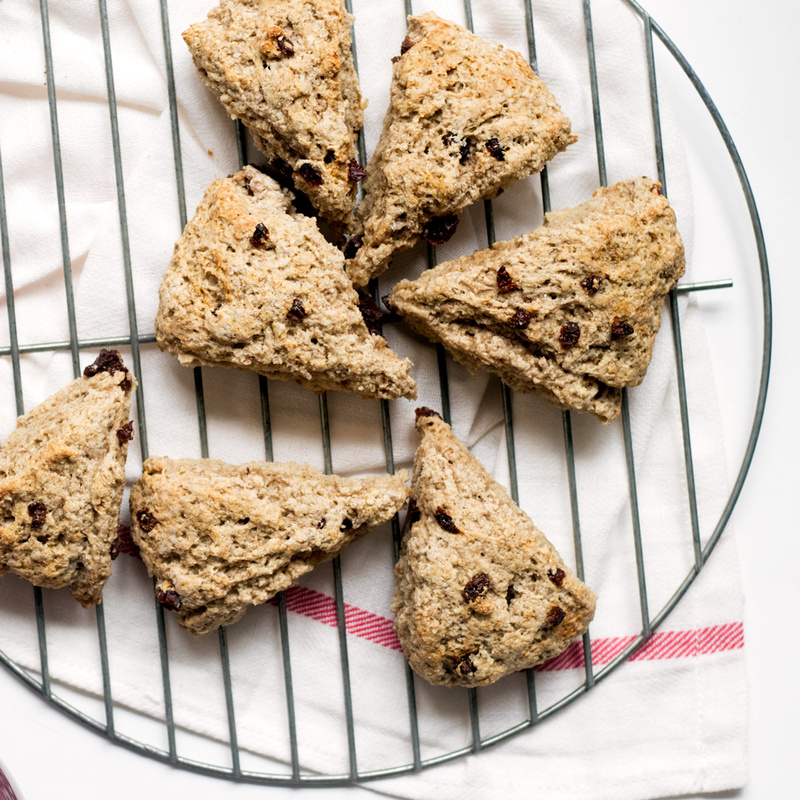 Slice the dough in half, in half again, and in half one more time to make 8 scone wedges. 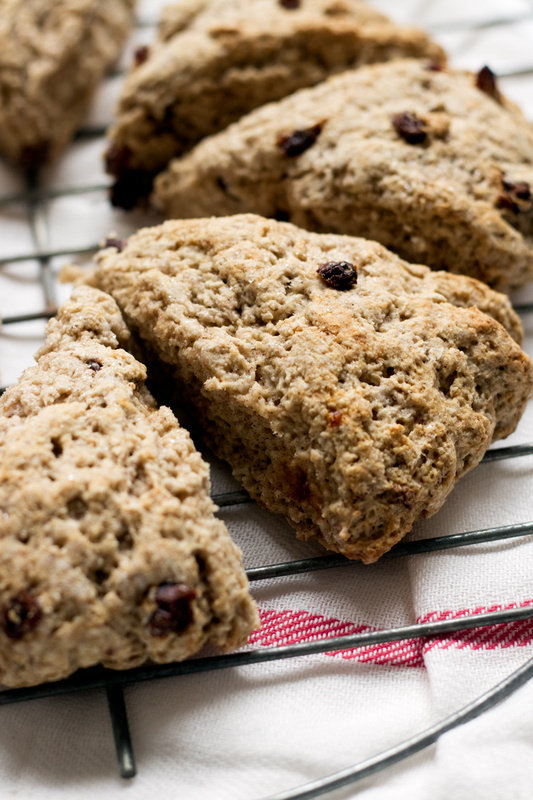 Place the scones on your prepared baking sheet or in the scone baking pan. Place the scones in the oven and immediately lower the heat to 400ºF. Bake for 13 to 15 minutes until a toothpick in a scone inserted comes out dry. Let the scones cool for 5 minutes before removing them from the baking sheet or pan. 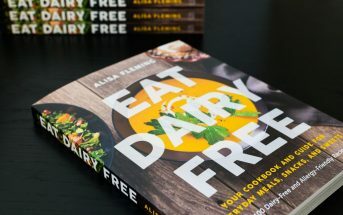 Will this turn out fine with almond milk instead of coconut yogurt? We don’t have coconut yogurt in Costa Rica… I wish we had! 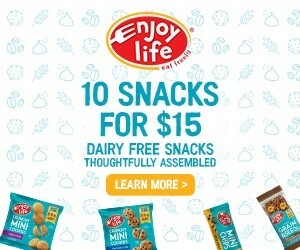 Do you mean almond milk yogurt? 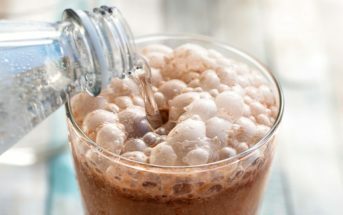 A milk beverage won’t be thick enough. But you can sub in coconut cream. There must be good quality coconut milk down there! Got it! Thanks 😉 I’ll try it with coconut cream then. I love that your daughters like scones Jenn. I didn’t even know what a scone was until I was 20!